"On June 6, 1944, nearly 15,000 Canadians – at sea, in the air, and on the ground – joined the long-anticipated D-Day invasion of Nazi-occupied Europe on the Normandy beaches. The piece of ground on which the Canadians fought so hard against heavily armed and embedded German troops was codenamed Juno. On that day, the Canadian infantry fought their way farther inland than any other Allied troops. For Canada, and all Canadians, this was a coming of age, an extraordinary moment of courage and sacrifice. On the eve of the 6oth anniversary of D-Day, Barris takes us back to those momentous few hours that forever changed the course of our history in the voices of those who were there. In what might be described as Canada’s longest day, we follow the course of action hour by hour, minute by minute, as we meet and follow the soldiers who leapt off landing craft into the shallow waters off Normandy, who were strafed by machinegun fire before they could even reach shore. We meet the airmen who flew fighters and bombers in the early hours of the summer morning, as well as the sailors who manned the guns of the ships offshore. 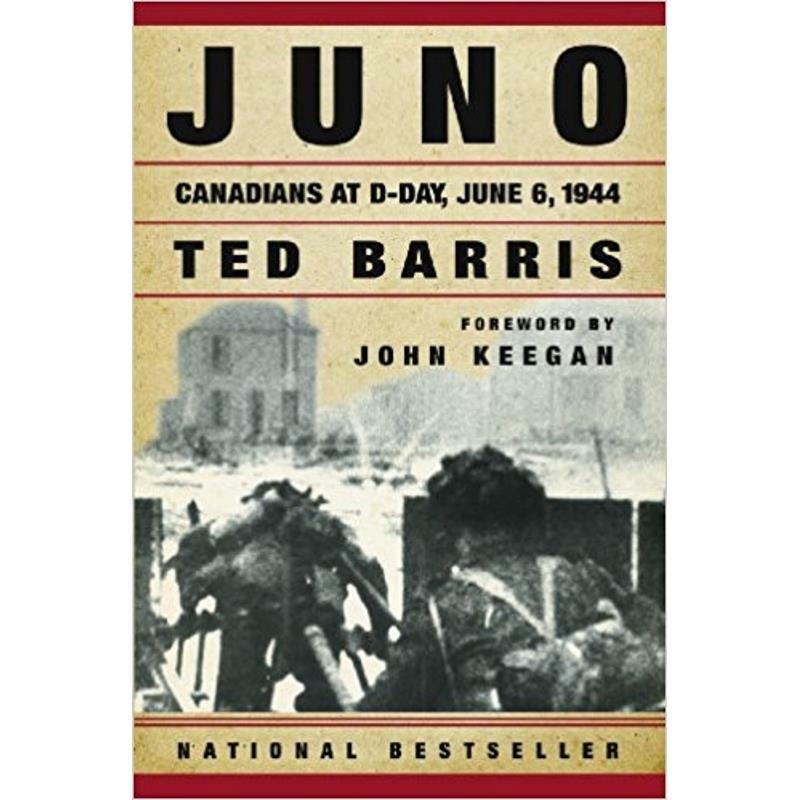 Ted Barris has interviewed hundreds of veterans to piece together one of Canada’s proudest days, and one of the most significant battles of our time."